We would like to invite you to attend our upcoming store workshops and events! 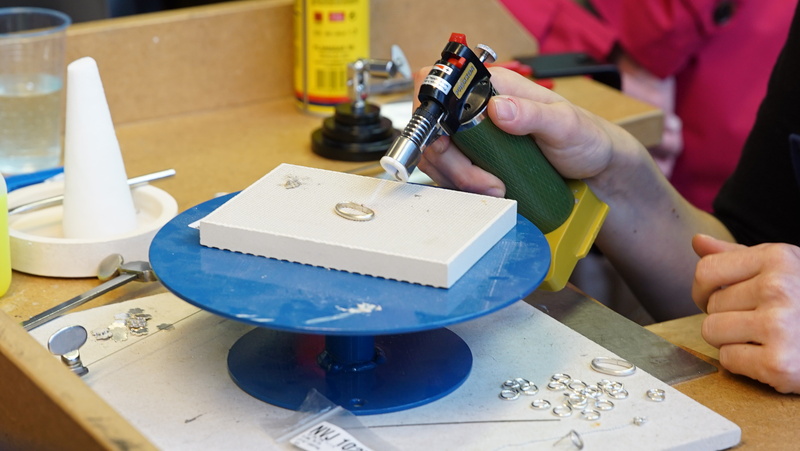 A number of free sessions will be taking place in our Birmingham store throughout the year, giving you the chance to learn more about a variety of jewellery making techniques along with like-minded jewellery makers. Please note that at this stage, we are not running any workshops or Demo Events in our London store. Below you will find details of all our upcoming Birmingham store events. All events are FREE to attend. In this workshop, Sophie will be teaching wire wrapping techniques and how to use crystals and gemstones in jewellery and how to use crystals and gemstones in jewellery making. Please order tickets from Eventbrite using the link above. This event is fully booked. Join us as experienced jeweller Janet Royle demonstrates a number of key jewellery making techniques using gallery strip. Please order tickets from Eventbrite using the link above. Please note spaces for this event are limited, tickets must be booked in advance. Please note the nature of our workshops means they are unsuitable for anyone aged under 16. Can't make it to any of the above? More events will be announced later this year, so stay tuned! Our stores are situated in two of the UK's busiest jewellery centres, Birmingham's Jewellery Quarter and Hatton Garden in London. For more information on our opening times as well as a map of our locations, click here. Please be aware that photos and videos may be taken in store during our events for marketing purposes. Any written or verbal feedback we receive after our events may also be used for marketing purposes. Cooksongold invites you to join us at our FREE Jewellery Making Demo Days, to be held on Tuesday 25th and Wednesday 26th April 2017 in our Birmingham Counter! The Demo Days will be taking place between 10.00am and 3.30pm. Over these two days our experienced jewellery making demonstrators will be exhibiting a variety of key skills and a huge range of our top products (full details on all demonstrations below), and will also be on hand to answer any questions that you may have. This is the perfect opportunity to learn from experts, find out more about jewellery making products and talk with like-minded jewellery makers. There's no need to book for either of these free Demo Days – just turn up either or both of the days and ENJOY! ...and what's more, you will also receive a FREE goody bag when you arrive as well as a £5 off voucher to use on the day (applicable to orders over £25 +VAT, additional terms and conditions apply) in our Birmingham Counter! Click here to view a map of our location in Birmingham's Jewellery Quarter. Saw Piercing with Mauri Beardshaw - talented silversmith and goldsmith Mauri will be on hand to demonstrate her intricate saw piercing skills, as well as passing on hints and tips. FIMO Jewellery with Jayne Rozario - Jayne inspired everyone during her last demonstration at Cooksongold by using the Birmingham Library building as her design influence using FIMO to create the most beautiful jewellery pieces. Jayne will be on hand to offer advice on creating jewellery using FIMO Polymer Clay. Stacking Rings with Janet Royle - Janet is one of our previous Designers of the Month on our blog The Bench. 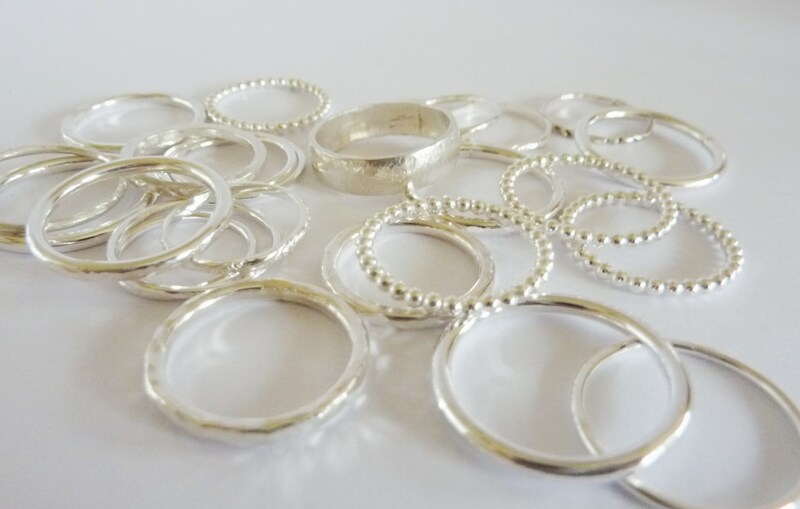 Join Janet as she demonstrates the skills needed to make stacking rings (above) including soldering, forming, setting and finishing plus her top hints and tips. Stone Setting with Scott Rowley - Scott is a member of the Cooksongold Counter team and he will be demonstrating stone setting. Scott will be on hand to answer your questions and concerns surrounding setting gemstones. Visit from Proxxon – as well as a Counter exclusive discount on Proxxon products, two representatives from Proxxon will be with us for the two days alongside a jewellery maker named Andrea who lectures at the Mid Warwickshire College. She will be demonstrating jewellery making skills, in particular using Proxxon tools. 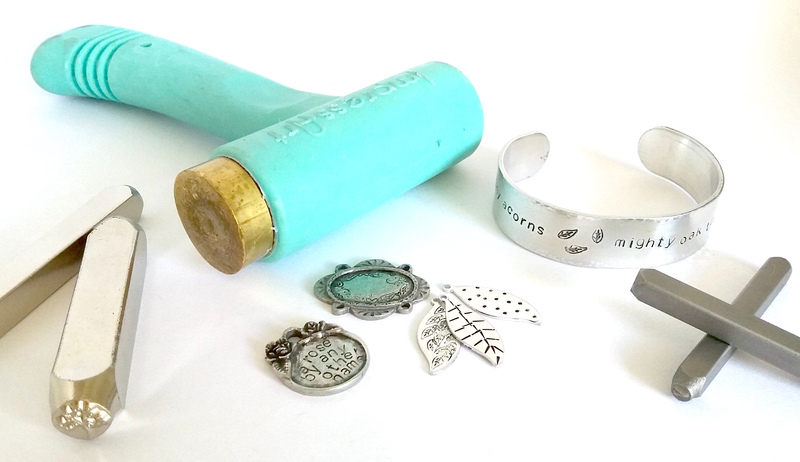 Enamelling with Lana Crabb - Lana is our regular demonstrator and she will be discussing enamelling, passing on hints and tips and answering questions. Lana will also be demonstrating enamelling techniques. Don't forget, in addition to the above sessions, all demonstrators will be on hand to answer questions throughout the days that they are exhibiting! We look forward to seeing you on Tuesday 25th and Wednesday 26th April, and we hope you have a fantastic day! Can't make this Demo Day? Don't worry, we've got more Counter events coming up! For more details or to book your place at any of the below, please email joanne.wagstaff@cooksongold.com.